I went to the Hamilton Heights girls and boys basket ball game, talked with a person there that knows what is going on. On the girls game they played Legacy Early College and beat them handedly. Treasure Hunt is a strong lean Tennessee, but the bad news Kamilla Cardoso is a heavy lean Uconn. On the boys # 5 I. Ghuloom is a very heave lean Tennessee, # 33 J. Jitoboh is a lean Tennessee he is a Monster 6" 10" looks to be atound 300 pounds. They beat LECHS "Legacy Early College" 81 to 61. Jordan Horston put up 30 points and 8 rebounds in a 79 to 28 win over South on January 11th. 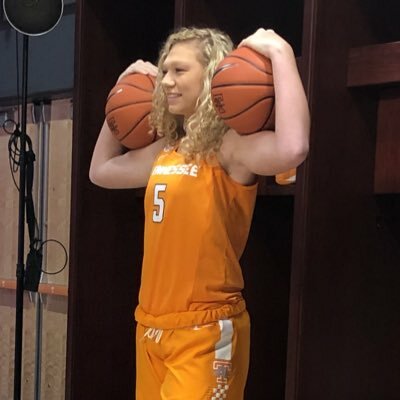 Lady vols great recruiters don't need to lose Kamilla Cardosa. Yah.... Another top ten recruit ! Take her off the list..... We already have two top 100 recruits coming in 2019 !!!! Why would we want a top ten ???? In 2020..... let UConn have her! Already had a couple of visits here on her own dime... come on Down girl.... Join the Big Orange Country. We keep recruiting one day we'll find the right combination i guess. Any updates on possible 2020 recruits? Trimming lists, visits, etc? Emily Saunders has improved dramatically her senior year. The work she is putting in is really paying off looks so much improved this season over her junior season. Currently 15 ppg and 7 rebounds per game 61 percent FG percentage. She does need to get a lot stronger Hopefully she starts working on that as soon as the season is over. She is beginning to look like a player that could offer quite a bit of help even as a freshman. I thought when we first recruited her and I saw her film it would take until at least her sophomore year for her to get any effective playing time. That is rapidly changing she is proving to be a hard worker on her skills really getting good at the 18 foot and in perimeter shots. Yes and they both are more Athletic and faster! One is a better rebounder/shot blocker and the other is a better passer/shooter! Just my opinion after watching all 3 play in person. I was just throwing that out there Emily could be a stretch 4 she has been working on her 3 pt shooting. I also think both will play a lot as a freshmen. The reason KK might not be available we don`t know if her knee will hold up or it`s will require some kind of treatment. Have you seen her this season. She was moved up to 6'-7" last season by some rating services. Am told she is now nearer 6'-8" plus much improved. I saw that Angel Reese was high on the Vols. I wonder if the current streak is having a negative effect on her process. I saw this interview with her speaking about her top eight schools. UConn was off the list and then back on. Atleast Baylor is out of the picture for now.